A new set of Timber Windows in Leicestershire can be a great addition to any construction or renovation project, and here at Brinard Joinery we provide excellent quality timber windows for the Leicestershire area. Within our wide array of products we have a collection of bow windows, sash windows, and flush windows – all of which are available on a bespoke basis in Leicestershire. We also specialise in creating A rated timber windows in the Midlands. To view our full range of timber windows in Leicestershire, you can check out our brochure. 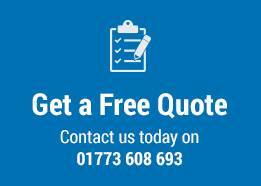 At Brinard, the idea of customer choice is paramount in the service we supply when you are buying timber windows in Leicestershire. Through offering a number of choices in regards to materials, profiles, fittings, configurations, style, finishing, and glazing, we enable you to find the perfect timber windows available in Leicestershire, to suit your requirements. So no matter what style you are looking for, be it Modern, Contemporary, Traditional, or Classical, our range of options makes it easy for you to find the timber windows best for your project. Here at Brinard Joinery we have a wide breadth of experience in supplying timber windows in Leicestershire, and because of this we have become experts in this field. We’re very proud of portfolio of successful clients, which consists of: Local Authorities or Heritage, Conservation Projects, and Listed Buildings. 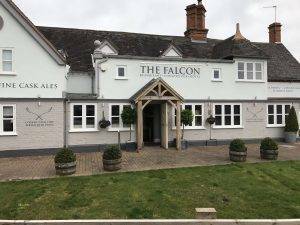 We also have experience in working together with Local Authorities in Leicestershire to create solutions that blend conservation requirements with an appearance that meets a modern standard of insulation, glazing, ventilation, and treatment. We produce made to measure timber windows in Leicestershire, but our work also takes us to other surrounding areas. 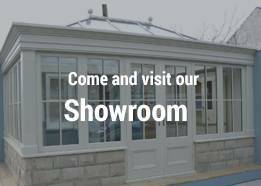 You can click here to view our gallery of bespoke timber windows, or click to get in touch! Our dedicated team at Brinard are happy to help with any enquiries you may have. We carry membership with the British Woodworking Federation for your peace of mind.